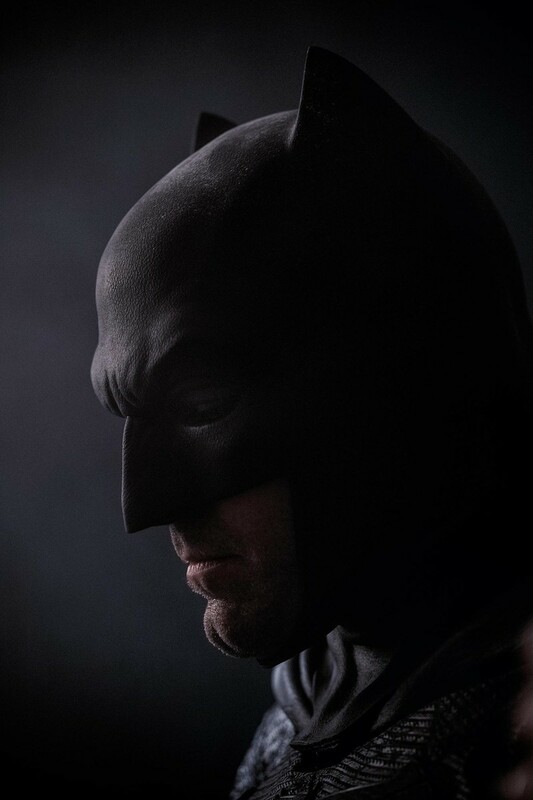 DC Entertainment has revealed a brand new photo of Ben Affleck as Batman from director Zack Snyder’s upcoming Batman v Superman: Dawn of Justice. This year, Batman’s stepping out of the shadows…and into the Comic-Con spotlight. With his 75th Anniversary going strong, Batman is a major presence at San Diego Comic-Con. He’s been seen in comics, film, TV, games, toys and clothing, and it’s all represented within the DC Entertainment booth, particularly in the Batman 75th Anniversary montage wall created for the show. Within this wall, you can spot many images of the Dark Knight, both old and in some cases very new. As in never before seen. Yes, as fans have started pointing out, within the dozens of photos and illustrations on the wall is a brand new image of Batman from the upcoming film Batman v Superman: Dawn of Justice. You can check out the photo below.